ECF located in Rearsby, Leicestershire began life in 1980 and has grown into a leading trade only distributer to the UK and Ireland Kitchen, Bedroom and Bathroom market. 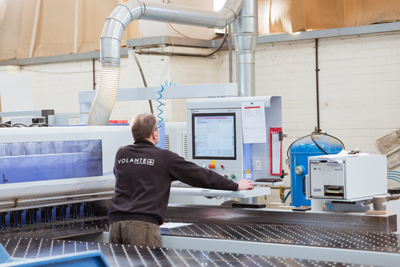 ECF’s headquarters in Rearsby, Leicestershire now covers 130,000 square feet in multiple premises which currently houses two complete manufacturing production units, warehousing, transport and administration. ECFs continues to invest in its highly integrated IT systems ensures orders are processed to minimise errors, improve workflow and maximise the capabilities of production planning systems to reduce materials handling and waste, reduce transport journeys (saving fuel costs and reducing emissions) and avoid paper printing. ECF IT systems supplier Intact Software show the results of this investment in their ECF testimonial YouTube video. 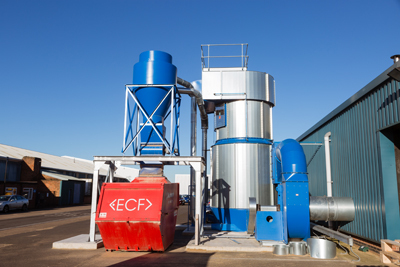 ECF works closely with waste handling service provider to ensure waste material from production processes is efficiently collected and sorted for reuse/recycling or for off-site processing. It is ECFs policy to further reduce waste generation and to increase reuse/recycling opportunities where possible and where practical. ECF when launch new products assesses methods to protect products, reduce the level of packaging waste and to implement sustainable sources of packaging materials. Energy use across the business is carefully monitored and controlled. For example some lighting is controlled by motion-detector timers. In areas where there is automated machinery (e.g. the board storage facility) lighting levels are reduced, except for maintenance and emergency use. Across the business all employees are actively encouraged to switch off lights and computers/non-essential electrical items when leaving their working areas. ECF is mindful of its location in beautiful Leicestershire countryside and actively works with the premises/business park landlord to determine on-going improvements, site developments and day-to-day running so as to have minimal impact on the environment. Day-to-day noise generated by the business is kept to an ambient minimum during normal working hours and the location closes outside of normal working hours. ECFs fleet of vehicles used for logistics purposes and material handling onsite are managed by effective route planning, a progressive vehicle renewal policy and route/fuel usage monitoring. ECF is continually seeking to further reduce the environmental impact of its fleet and is already committed to replacing its vehicles with updated, fuel-efficient and operationally optimised versions by the end of 2018. The adoption of modern based parcel carriers like DPD provides real-time delivery tracking systems, which assists in the reduction of physical paperwork, avoids missed deliveries and allows ECFs trade customers to work more efficiently by allowing them to be on site at a certain time to take receipt of a delivery – again reducing multiple product handling and deliveries. Regular team briefings ensures all levels of staff are kept informed of any developments within the business to ensure environmentally-sound practices are embedded in the core values of the business.